Product prices and availability are accurate as of 2019-04-23 04:36:37 UTC and are subject to change. Any price and availability information displayed on http://www.amazon.com/ at the time of purchase will apply to the purchase of this product. 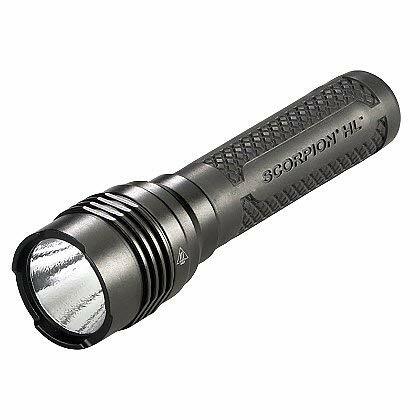 Replicates the size, shape and feel that you love so much about the Scorpion series, but with new technology and a 600-lumen output. It also features TEN-TAP Programming that gives users the choice of three operating modes. The combination of small size and output from the C4 LED result in one of the brightest personal carry lights for its size. Rubber armor grip sleeve provides a sure grip. The barrel and head are crafted from 6000 series machined aircraft aluminum and the head has an anodized finish. The glass lens is O-ring sealed. 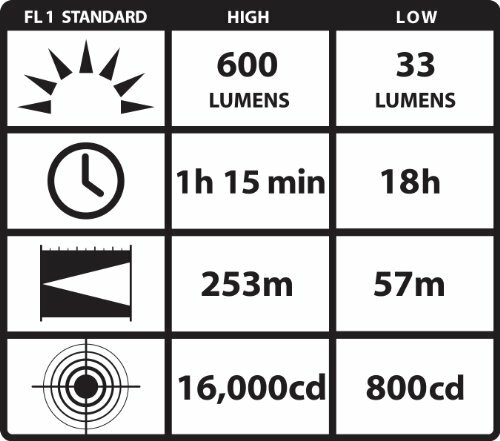 The light source features C4 LED technology, impervious to shock with a 50,000-hour lifetime. The Scorpion HL's multi-function, push-button tactical tail switch allows for one handed operation of momentary, variable intensity or strobe mode. This TEN-TAP programmable switch allows user selection of one of three different programs: high/strobe/low (factory default), high only, or low/high. Electronic power regulation provides maximum light output throughout battery life. 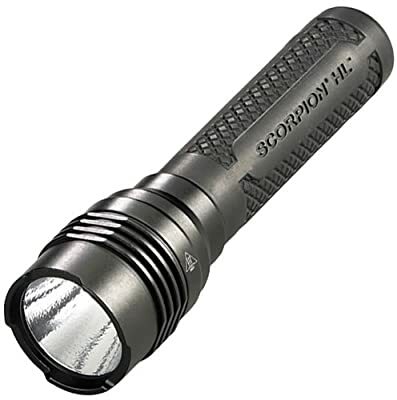 Built for durability, the Scorpion HL features an IPX7 rated design, waterproof to 1-meter for 30-minutes, and is 1-meter impact resistance tested. Powered by 2 3-Volt CR123A lithium batteries with a shelf life of 10-years. Includes anti-roll face cap and batteries. Serialized for positive identification. Dimensions: 5.46-Inch long, 0.96-Inch barrel diameter, 1.375-Inch head diameter, and 1.45-Inch tri-lobe diameter. Weighs 4.8-Ounces with batteries.